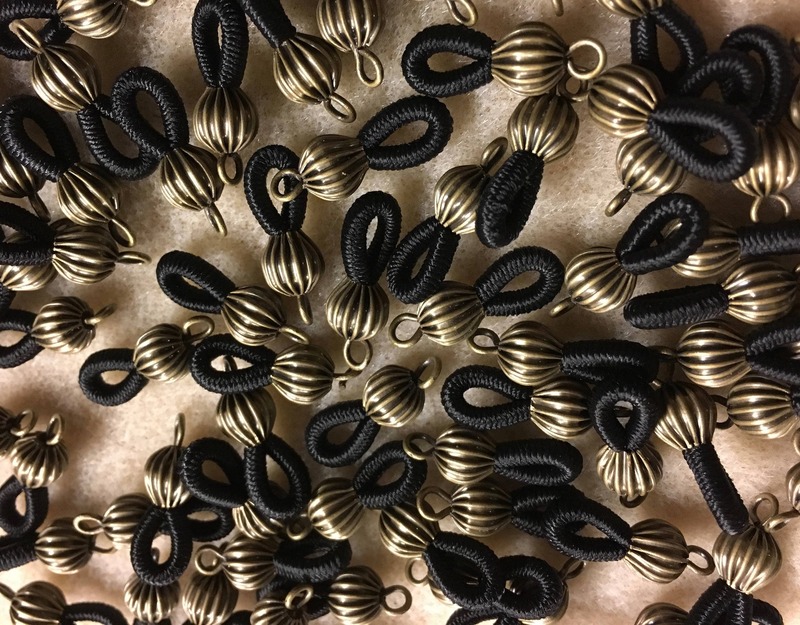 Dress up your eyeglass eyeglass chains with these antique brass plated metal loop holders. Antique brass fluted round bead (7mm) and elegant, sturdy black elastic to hold the bow of eye glasses. The elastic is flexible and grips tightly. You will receive 12 holders (6 pairs). These may also be referred to as antique brass or antique gold. Just right! Thank you very much! Love the antiqued finish on these loops.